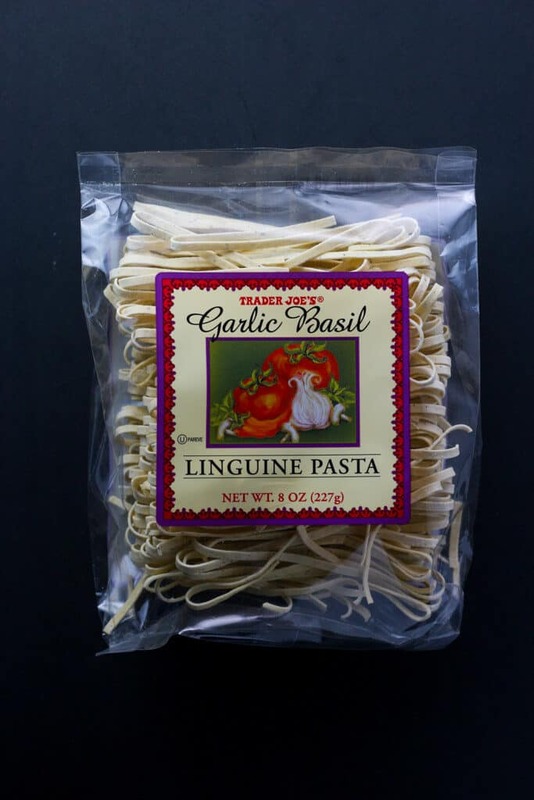 The pros: Trader Joe’s Garlic and Basil Linguine is tasty and cooks almost as quickly as fresh pasta. Tastes pretty close to fresh pasta as well. 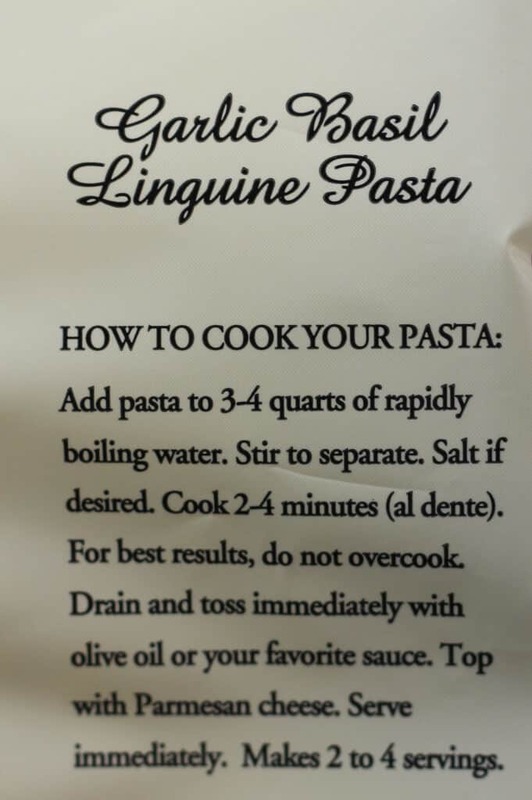 The cons: The bag is only half a pound so the per pound price is premium for a pasta product. Not the sturdiest packaging choice for a delicate product. The verdict: For $2.29 you get half a pound of flavored pasta. 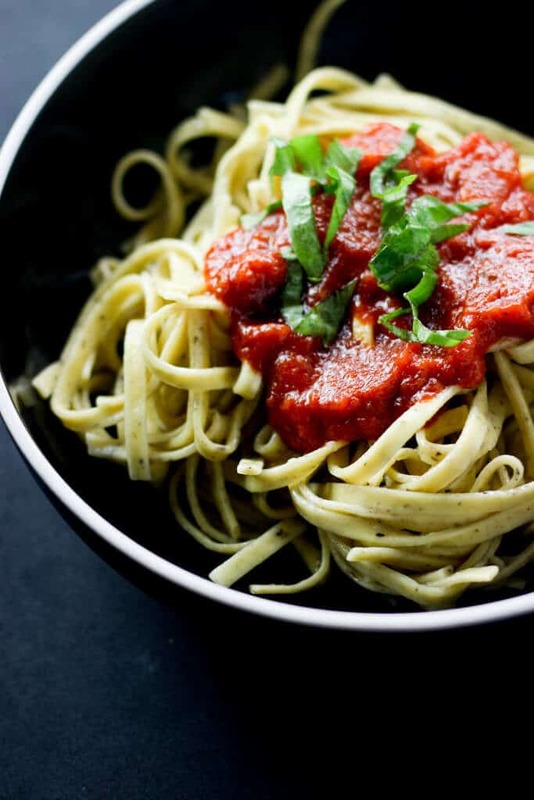 When pasta approaches almost $5 per pound, you’ll have to ask yourself if its worth the price. To me by the end, this was like shelf stable fresh pasta. When I opened the bag the small of garlic hit me. This looks similar to fresh pasta and tastes similar as well. It cooked in under 5 minutes from a boiling pot of water. There is a fine line between uncooked, al dente, and mush here so just be aware don’t walk way from the pot. There are green flecks presumably from the dried basil, but the flavor was not pronounced. What’s nice here is the fact that it is flavored pasta which is a welcome reprieve from plain pasta. It holds well to thicker sauces like alfredo and the garlic was a nice compliment without overwhelming it. A nice marinara is also a good flavor pairing. 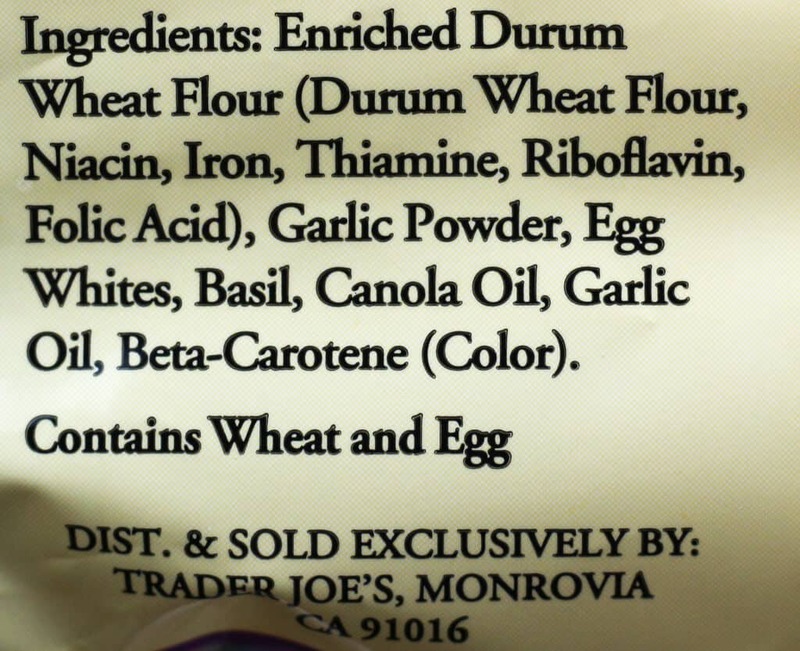 I enjoyed Trader Joe’s Garlic and Basil Linguine. I wish for storage purposes they could find something more sturdy than a plastic bag. If it’s going to be shelf stable it also needs to handle being stored. I’d buy this again. When I’m lazy I’ll reach for Trader Joe’s Alfredo Sauce. It’s good for the jarred variety, it’s still not close to homemade. The reality is that homemade usually turns out better. Would I buy this again? Yes. 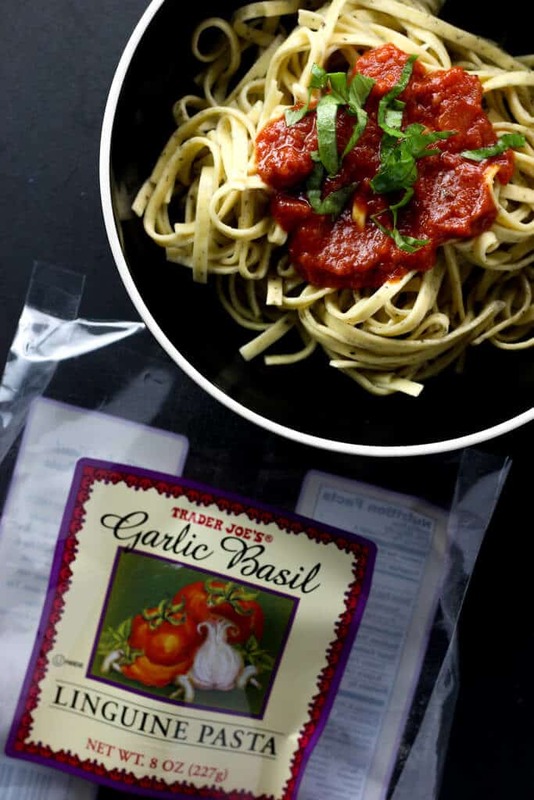 Trader Joe’s Garlic and Basil Linguine tasted like fresh, but manages to be shelf stable.